A career as an FBI agent is perhaps one the most sought after law enforcement jobs in the United States. Positions with the Federal Bureau of Investigations, along with most other special agent careers, tend to provide higher pay (often six figures after a few years), great health insurance coverage, and excellent retirement benefits. FBI agent careers, in particular, are often perceived to come with a certain status and prestige, given the fact that the FBI is one of the best known and most highly respected investigative agencies in the world. With that in mind, it's no wonder you may have taken an interest in such a wonderful career opportunity. The question is, how do you become an FBI agent? The FBI hires agents less than one of five (fewer than 20%) applicants for entry programs or career tracks. These tracks include accounting, computer science and technology, language, law/legal, and diversified work. If you meet the minimum qualifications, the next step is to determine which track you qualify for. For the accountancy track, you'll need to have bachelor's degree in accounting and at least three years experience working in a professional accounting firm or as an accountant within a government agency. The experience requirement may be substituted if you become a Certified Public Accountant (CPA). If you're interested in the computer and technology entry program, you'll need to earn a bachelor's degree in information technology, computer science, or a related field; or in electrical engineering. If you don't have a technology degree, you'll need to earn either a Cisco Certified Network Professional (CCNP) certification or a Cisco Certified Internet Working Expert (CCIE) certification. A four-year degree will still be required. If you are interested in becoming a law candidate, you need to earn a Juris doctorate (JD) - a law degree - from an accredited law school. You may also be required to pass the Bar exam. If you don't fit into one of the above categories, you may still qualify under the diversified entry program. Diversified candidates need to have a four-year degree in any major and three years of work experience or a graduate degree with at least two years of experience. Most often, these candidates are former police officers or those with past investigative experience. 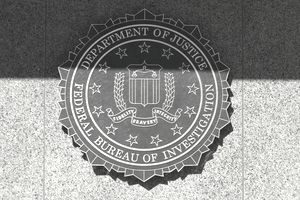 After applying under one the entry programs, applicants are then prioritized based on whether they possess certain critical skills that the FBI is in need of at the time. These skills include investigative experience, prior law enforcement, computer science, physical and biological sciences, language, intelligence gathering, finance, and accounting. For those of you who are fluent in a second or third language, you will need to possess a bachelor's degree in any field and be able to pass language proficiency tests that include reading, writing, listening and speaking. If you're determined to meet the requirements, you'll move into the testing phase. The first phase of testing will occur at a local FBI facility and consists of several written tests of basic abilities, knowledge, and competency. If you successfully complete the first phase, you'll move on to phase II, which will include a test of your written skills and an in-depth oral interview. If you meet the entry program and critical skill requirements and move through phase I and II testing, your next step will be the physical fitness test. The FBI requires all agents to undergo a physical abilities test to make sure they're physically capable of performing the rigors of the job. Don't fool yourself here. For many, it will take a lot of hard work to get in shape and get ready for the physical assessment. The sooner you start working out, the better position you'll be in on test day. Be sure to check with your doctor before you begin any exercise program. If you cut the mustard physically, your next step will be the thorough background investigation. This is a nerve-wracking and grueling process for many and includes a polygraph exam, credit check, and interviews with neighbors, coworkers, and friends. It also includes interviews with previous employers to learn more about your past work history. Your next step will be medical testing to make sure you don't have any underlying health issues that could be dangerous for you later in your career. This will include checks for high blood pressure, as well as vision and hearing screening. Medical screening won't necessarily get you disqualified, but it can bring to light health issues that may require your attention. FBI health specialists will make a determination on whether or not you are healthy enough for the job based on your overall physical exam. If you make it past all of the steps, you'll be invited to attend a Special Agent class at the FBI Academy in Quantico, VA. The 21-week training program will require you to live on campus, where you'll spend long hours in the classroom as well as learning firearms proficiency, defensive tactics, and other special skills. The FBI Academy is mentally and physically tough, and special agent trainees are required to maintain their physical fitness. If an agent trainee fails his or her fitness test during the first or seventh week, they'll be sent home. The academic requirements are just as stringent, and failure to pass tests and proficiencies will render you out of a job. Becoming an FBI Agent is a tremendously difficult and competitive process. It takes years of time, planning, and hard work to mold yourself into the kind of candidate the FBI is looking to hire. It's not going to happen overnight, and the hiring process itself can take a year or longer. In the end though, if you can make it through the hoops, a career as an FBI special agent offers unique challenges, opportunities, and rewards. If your goal is to work for the FBI, now's the time to start planning for your future. Do You Have What It Takes for a Career as a Secret Service Agent? What Can You Do With a Bachelor's Degree in Criminology?